Sonar GTK3 theme is yet another great looking theme created by half-left. 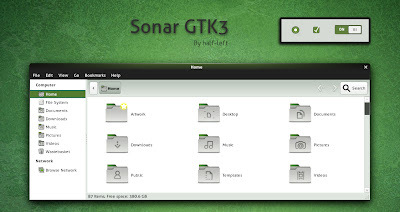 This is a GTK3 port of Sonar used by default in OpenSUSE. The theme comes with the metacity theme and the GTK2 version as well.